Mother's Day is one of the most commercially successful holidays in America, but that doesn't have to diminish the spirit of the occasion. Instead of buying mom flowers, look for gifts with purpose and meaning. 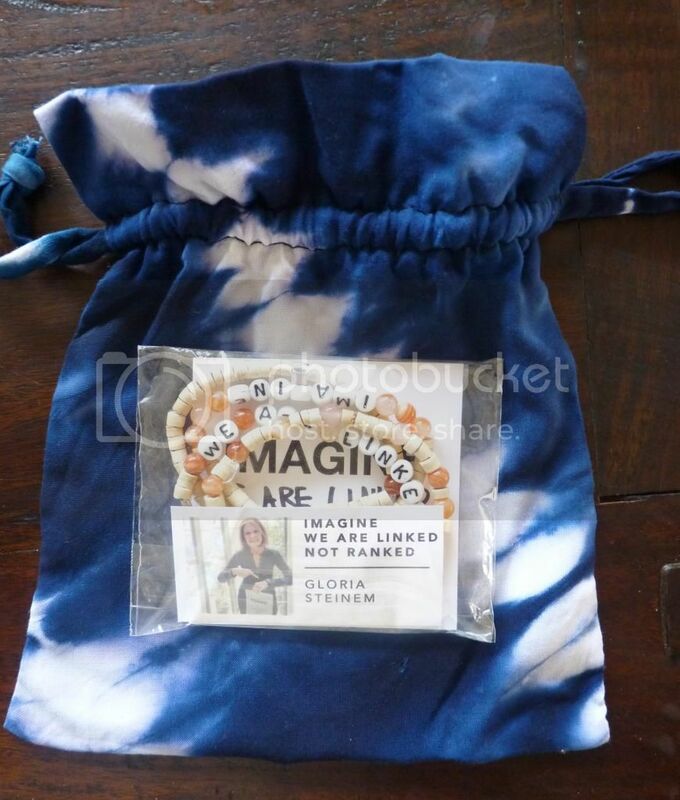 I was honored to receive the Imagine We Are Linked, Not Ranked bracelet designed by Gloria Steinem from www.MaidenNation.com for review. This beautiful bracelet is sold in a set of four (two solid, two with words) and is made in the USA from agate stone, wood, silver metal beads with class alphabet beads for $48. All proceeds from the sale of the bracelets benefit feminist.com, which offers people around the world access to information and support. It's the perfect gift for the conscious mom! Maiden Nation was founded on one basic principle: empowering women through ethical fashion. Their designers are of the moment, their products are ethically sourced, and profits are reinvested into women’s entrepreneurship projects. The goal is to create a marketplace where items are designed with both beauty and social consciousness in mind. You can become a Maiden 'citizen' by signing up and sharing your skills with the ever-growing community of other female designers. Maiden designers showcase their work, Maiden activists share their causes, and Maiden citizens connect over their ideas and goals. And soon, Maiden Nation will have the ability to connect you to investors and empower you as a female entrepreneur if you choose to participate. What a wonderful concept for a gift. Thank you for leading me to the company. 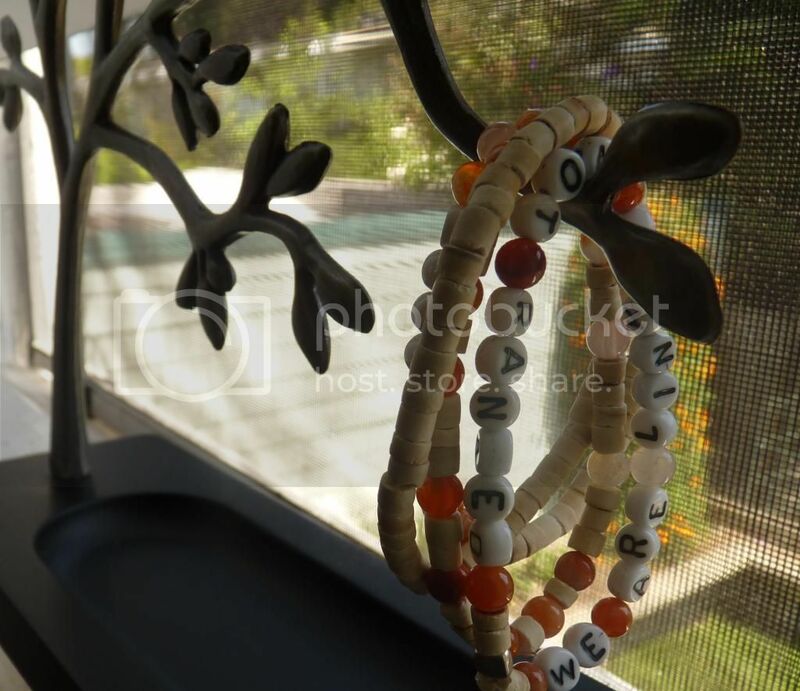 The Global Bracelet has a very organic feel and a wonderful message! Lovely idea. Thanks for sharing about this company. I am ALL about empowering women. This is fantastic! Now that is a gift with thought behind it! I love it! I love this! I think that businesses/communities/etc that empower women are awesome, I love supporting them. Thanks for bringing attention to this! I love what they are doing! I really love their principles. Thank you for sharing! I love this stuff! It's very thoughtful! Love the purpose and they are CUTE! As someone who also promotes "gifts with a purpose" I love this idea! That is a nice bracelet and thought. With mother's day around the corner, it would be great to look for something original. such a great gift idea for mom!